On 7 February 2018, lead developer and co-founder of Qtum, Jordan Earls, will talk at Bitcoin Wednesday. Qtum raised $15 million in just 5 days in March 2017 and only 10 months later represented a market cap of more than $3.5 billion. One of the central tenets of the Qtum blockchain is that it integrates a modified version of the Bitcoin core network infrastructure with Ethereum’s Virtual Machine. In theory this hybrid approach could deliver the proven stability of Bitcoin with innovative features of Ethereum, including its ability to handle Turing-complete smart contracts. Even further, however, Qtum has an x86 Virtual Machine to give it support for smart contracts written in almost any programming language or compiler. Jordan’s presentation for Bitcoin Wednesday will cover exactly how Qtum’s x86 can bring stability and predictability to smart contracts. Mainstream programming languages have the potential of adding security, flexibility and efficiency to smart contract development. Support for a standard library which could be implemented in the x86 VM could also potentially make the Qtum blockchain lighter than Ethereum and better suited for both IoT and mobile applications. It might also provide incentives for smart contract developers to design smart contracts that could be better and more easily optimized. They could also be executed in parallel for blockchain nodes and network validators. Since the x86 VM will eventually be released as an open source component, it’s possible that we could see this technology in other blockchains a little further on down the road. Jordan taught himself to program at the age of the 13. Among his early hobby projects were a custom operating system and an Android app that roots and fixes bugs in DSL modems. 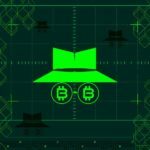 Since 2014 he developed a reputation in the industry for reviewing the code of more than 100 different cryptocurrencies and identifying scams, viruses and other malicious behavior. In addition to his role as co-founder of Qtum, he is also co-chair of the Smart Contracts Alliance initiative to promote acceptance and use of smart contract technologies around the world. 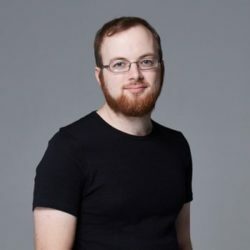 Jordan Earls is the lead developer and co-founder of Qtum, a hybrid blockchain that integrates a modified version of the Bitcoin core network infrastructure with an enhanced version of Ethereum’s Virtual Machine. He will talk about this enhancement, known as the x86 VM, which provides an x86-compatible operating system for decentralized applications.